A few weeks ago I was lucky enough to go and listen to a talk by Steffie Shields about her passion for Capability Brown and his landscapes. I knew that her book was due out soon so I was very pleased to be sent a copy to review. The book is illustrated by many plans and photographs, most of the photographs were taken by Steffie herself. 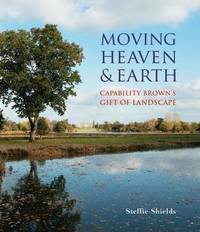 The Preface explains how Steffie first became aware of Capability Brown and talks about how we all have favourite landscapes and that when she first saw a Brown landscape that she did not realise that it was not a natural view. Time passed and her interest in Brown grew. 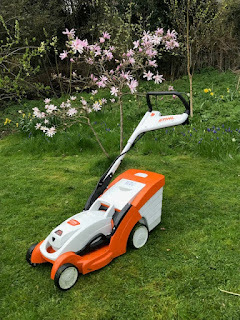 Then the Great Storm in 1987, that destroyed so many mature trees which led Steffie to think that there was a fragility to Brown's landscapes and that they could disappear almost overnight. At that point she determined to record as much of his work as she could. It is a journey that Steffie is still on and this book catalogues and talks us through many examples through different perspectives in each chapter. For example: there is a chapter looking at lake making and one looking at cascades, oh to have a cascade! 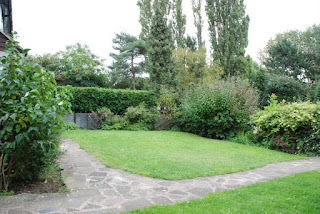 There is also a chapter called 'Freedom to Roam' looking at the garden buildings and structures in Brown's work. There are examples, pictures and plans and also the important point that follies had a vital purpose. They were built to do what they do now, they lead our eyes to them through the landscape and, well if you are like me, they then lead our feet to go and explore. The follies and garden structures drew the landscape owners out into the landscape so they could experience from the distant perspective and the close. A simple idea and incredibly effective. Brown's story is weaved through the story of his work and we also receive a social history of this type of project within that time period. It is truly fascinating. The book goes into a lot of detail. It very handily gives us a conversion table at the start of the book, explaining the present day value of eighteenth century money. It also explains farthings and furlongs and other old coinage and measurements. All of which are vital to help us understand the plans and narratives that were contemporary to Brown's work. There is also a full index at the rear that highlights specifically the Brown landscapes. 2016 is three hundred years since the birth of Capability Brown and there are celebrations and exhibitions to recognise this all year. There can be no better year to buy a book on this great man, and Steffie's book has an engaging personal voice that makes it more than a description of his life and works, it is about experiencing him through Steffie's enthusiasm.